Want to get lit up in the holiday spirit this season? Sure you do! 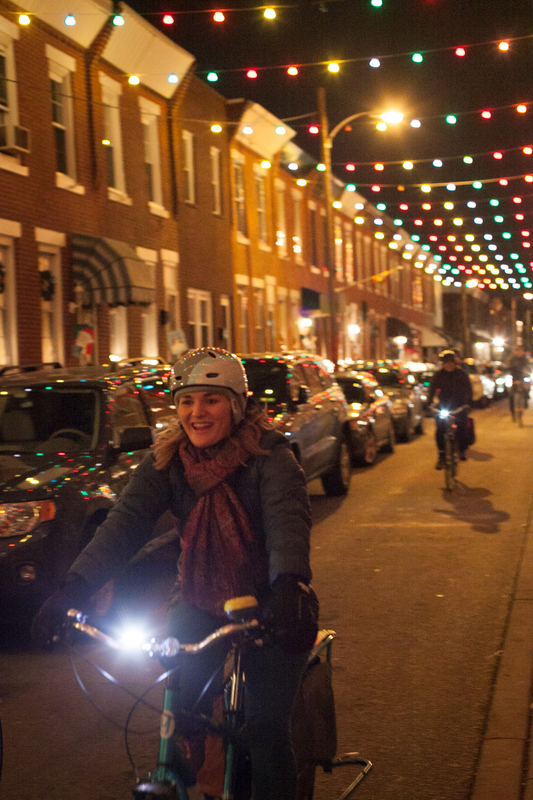 To help out, the Bicycle Coalition of Greater Philadelphia will hold our annual Holiday Lights Ride through South Philly on December 15th, where riders are encouraged to dress in costume and decorate their bicycles with lights, sparkles, bells and, well, antlers if you have them! We will be recruiting a special guest to judge the ‘best spirited costume’ and will announce the winner at the after ride location where the winner will receive a Saris, “The Hottie” bike rack!